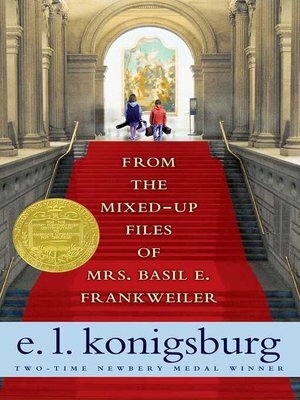 Run away to the Metropolitan Museum of Art with E. L. Konigsburg's beloved classic and Newbery Medal­–winning novel From the Mixed-Up Files of Mrs. Basil E. Frankweiler—now available in a deluxe keepsake edition! Claudia knew that she could never pull off the old-fashioned kind of running away...so she decided to run not from somewhere but to somewhere. That was how Claudia and her brother, Jamie, ended up living in the Metropolitan Museum of Art—and right in the middle of a mystery that made headlines. Celebrate the legacy of the Newbery Medal–winning classic with this special edition.